Stef and I had a very lazy Sunday, and the best way to start of a lazy day?? Pannenkoeken are Dutch pancakes. They are very similar to crepes, in fact I'm not quite sure what the difference is, except that they can sometimes be a little bit thicker and that they often have the toppings baked right into them. 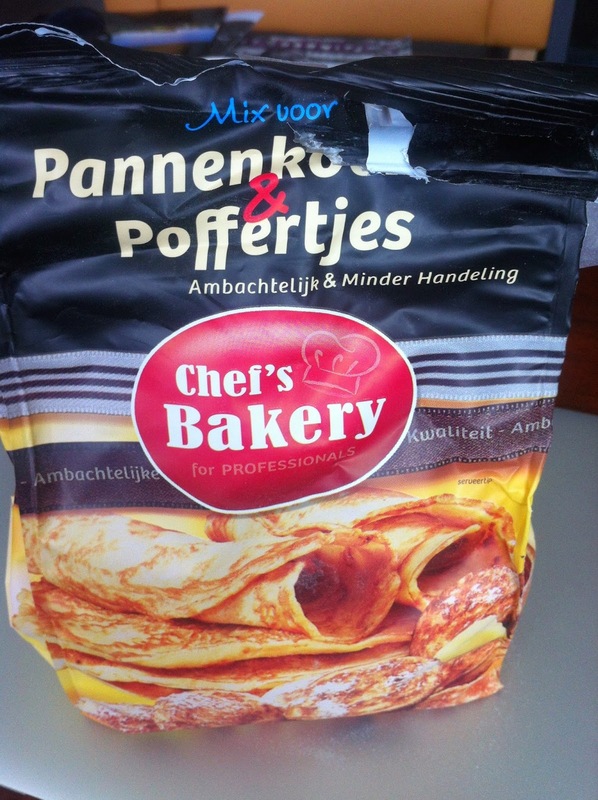 In Holland, pannenkoeken mix can be purchased anywhere and there are dozens of brands,.. but you can very easily make pannenkoeken from scratch. Add the flour to a large mixing bowl and make a well in the center. Gradually add the milk and whisk well making sure there are no lumps. Then add the eggs and salt and whisk until well mixed. Do no over whisk. Get your frying pan nice and hot and add a pad of butter and spread the butter out evenly in the pan. Then using a large soup ladle, pour about one ladle full of batter into the pan, just enough to cover the entire bottom of the pan. Raise and tip the pan back and forth gently so that the batter spreads to cover the bottom of the pan. If you are not making a plain pancake, now is the time to add the ingredients. I'm going to start with some of my favorite savory pancakes and then move on to the sweet. The most classic, in my opinion, is cheese. Right after you've added the batter to the pan, quickly add pieces of sliced cheese on top of the batter while it's still liquid. Then ladle a tiny bit more batter on top of the cheese to cover up some of the cheesy spots. This helps keep it intact and also protects the cheese from the pan when you flip it over. Being in Holland, I use a Dutch cheese, of course, like Gouda. If you don't live in the Netherlands or nearby, you might be able to find Gouda in your supermarket but make sure its not the really soft kind. You want it to be sliced and a bit firm but flexible and melty and easily broken into pieces. Some soft cheddar might be a good option. Then let it bake until the bottom is nice and golden brown. Be careful not to burn it. You can tip up the edge gently with the spatula to check the color on the bottom side. Then flip. This side will cook a bit quicker so keep an eye on it and don't let the cheese burn too much. It's best to keep it moving by sliding it back and forth in the pan. When it's done, you have a delicious cheesy snack! The thing with pannenkoeken is that you really want to eat them while they are still warm. The Dutch usually whip them up one at a time, and it's actually traditional to eat them for dinner or maybe lunch (not breakfast as you may have thought). Then they serve the pancake as soon as it's done and move on to the next. So for example, Pop might make a pancake for each one of his kids, one at a time they eat, and he makes his own last. My husband and I usually make 2 at a time using 2 frying pans, then we eat them together, and go and make another. The next one is our very own invention of an apple, bacon and cheese combo. It sounds a bit weird but trust me, it's delicious. It's a little different to make this one because you start off by frying the bacon. After flipping the bacon let it cook a bit more until it just starts to get a little crispy. That's when you add the batter. If it's too greasy for you, before you add the batter, take the bacon out of the pan and wipe off the grease (being very careful not to burn yourself). Then put the bacon back in and ladle the batter over it. Now add the other ingredients on top. I use sliced cheese and very very thinly sliced, peeled apple. The trick with this one is to make sure the apple slices are as thin as possible and to cover them pretty well with extra batter. This helps prevent the pancake from breaking when you flip it and take it out of the pan. The rigid apple pieces make the otherwise more flexible pancake much easier to break apart. Now let's move on to dessert. This is a relatively new one I came up with, and it turned out to be fantastic! It's made with banana and brown and white sugar. and mix up your brown sugar and white sugar in about an even ratio. Now make the banana pancake by spreading out the thin slices in a layer over the cooking batter. Push them down into the batter a bit and cover them pretty well with some extra batter. Again, like the apples, the slices should be as thin as possible. Once finished, sprinkle with the sugar mixture. I like to add some maple syrup to mine as well. I'm absolutely obsessed with the flavor of speculoos. So, I nevertheless had to incorporate it somehow into a pannenkoek. 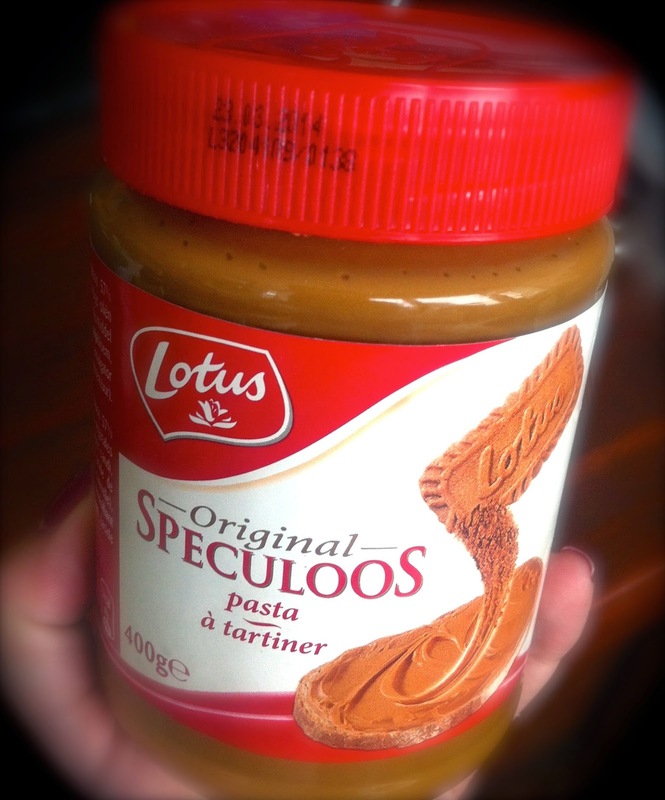 This Lotus brand speculoos paste is a Belgian brand that is found here in Holland, Belgium, France, and probably some other European countries. If you live in the US, not to fear, Trader Joe's has its very own brand of speculoos paste and it's called Cookie Butter. In Holland it's actually known as Speculaas, but we'll stick with the Belgian name since it's more familiar. To make this delicous treat all you have to do is cook up a plain pannenkoek. and spread it all over. Spread it on the hot (just cooked) side of the pancake as soon as you take it out of the pan so that the paste melts into a delicious gooey layer. And don't over do it with the speculoos because this stuff is Very sweet. Nom nom... I hope you Enjoy! Looks so yummy! And seems insanely easy to do. Will try this at home. Thanks for this! Always wondered how the Dutch bake the cheese and the bacon into the pannenkoken...thanks! Also, the banana one looks amazing can't wait to try it! Somewhere the content of the blog surrounded by little arguments. Yes it is healthy for readers.